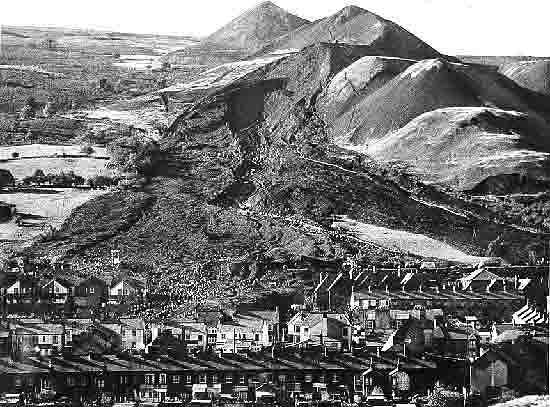 On October 21, 1966 a coal waste pile in Aberfan, Wales collapsed, killing 114 schoolchildren. This post by graduate student Kathrine Engle examines the resilience of coal mining communities in the wake of disaster. The author was part of a group from Appalachian State University who traveled to Wales for a summer study abroad program in June of 2013. This is the final installment in a series of blog posts written by the students about their experience. During our time in Wales, part of the GPS mapping project has been research on coalfield communities and points of interests in different towns in south Wales. We have completed library research in the South Wales Coalfield Collection, which is split between the South Wales Miners’ Library and the Richard Burton Archives at Swansea University. This repository of books, pamphlets, manuscripts, lodge minutes, union banners, photographs, videos, oral history interviews, and secondary sources is a storehouse of information about life in the valleys. The collection especially focuses on the perspective of workers and organizations, including the National Union of Mineworkers. A particularly interesting collection that was pulled during our visit to the Richard Burton Archives was a compilation of newspaper clippings on the Ty Toronto project and the “Call to the Valleys” conference that occurred in March 1973. Ty Toronto was a community organization that began after the Aberfan disaster, when a hillside of coal waste gave way above a school killing 115 children. The community organization worked on supporting families in Aberfan and issues surrounding the decline of coal mining in the area. 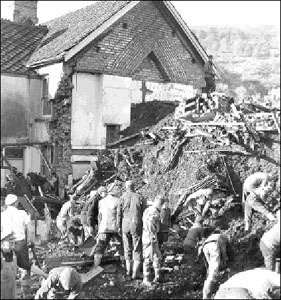 Seven years after the disaster the organization planned a conference at the Aberfan Community Center about the future of their community. The series of articles told about the conference preceding and different opinions of what should be the future of coalfield communities. Articles discussed potential in the valleys, long range planning, community input, jobs, working to not have to leave for cities, migration, diversification of employment, community bonds, community regeneration, and quality of life in the coalfields. The conference featured main speakers and group sessions in which people brainstormed solutions to economic decline, outmigration, apathy, and other social problems in their communities. The articles showed conflicting visions for the direction of the area, but an overall awareness of impending transition in the communities in the south Wales valleys. The Welsh and Appalachian coalfields share a history of exploitation, marginalization, false promises, disasters, environmental degradation, and other human and environmental costs associated with coal mining. With a proud heritage and a willingness to work, residents in both places have been subject to the changing tides of a globalized economy. Residents in Aberfan, Wales, and Harlan, Kentucky, have asked exactly the same questions and experienced the same uncertainties about the future of their homes. The “Call to the Valleys” conference was remarkably similar to the “Appalachia’s Bright Future” conference in eastern Kentucky this past April, organized by Kentuckians for the Commonwealth. In the 1970s, villages in south Wales dealt with the same issues as coalfield communities in central Appalachia are dealing with today with questions about the future of areas that exist because of heavy industry, community regeneration, community spirit, persistence, utilizing community assets, and planning for the long term. Using the same type of language and working through the same concerns these communities have held the same conversations decades apart. In order to be resilient, communities in both south Wales and central Appalachia have had to learn to adapt, utilizing their strengths and banding together as communities. Initiatives have to come from communities themselves and community organizations like Ty Toronto and Kentuckians for the Commonwealth provide a means for people to come together to work out problems and look to make changes. Conferences like the “Call to the Valleys” and “Appalachia’s Bright Future” are important venues to discuss complex issues about persistence, transition, solidarity, and quality of life.